Chris Read has been named in Nottinghamshire’s 13-man squad to face Gloucestershire having recovered from a hip injury. The Club Captain was unable to field in the recent draw against Glamorgan having taken a blow to the hip whilst batting, but is set to face his former county. The recent draw at Sophia Gardens kept Nottinghamshire at the summit of the Specsavers County Championship Division Two table. Notts haven’t met Gloucestershire in the championship for a decade, but that’s of little consequence to Head Coach Peter Moores, who says his side will continue to focus on their own performance. “There are quite a few sides we haven’t played recently but we’ve spent the whole season focusing on what we are doing, so that won’t change. “We’ll certainly look at the opposition and respect them but we’ll mainly be more concerned with how we go about it. If we do that we’ll be tough opposition. “Gloucestershire are a good side. They’re a tight unit, who will be very competitive. They’re certainly a team we’re going to have to play very well against. Although Nottinghamshire spent 230 successive overs in the field during the latter stages against Glamorgan, all four of the fast bowlers – Stuart Broad, Harry Gurney, Luke Fletcher and Brett Hutton - have once again been selected for the squad. 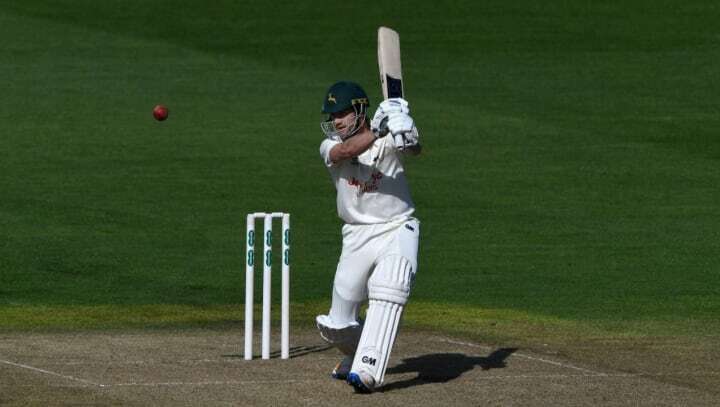 The contining presence of Broad, who has been with Notts since March, is providing great inspiration to his county teammates according to the Head Coach. “Broady’s plan is to play 4 games out of 6 whilst we’re in this block so at the moment that is the plan,” said Moores. “He’s been a massive influence on the whole staff actually. “He was really looking forward to putting on the Notts badge and the Notts shirt for a full three months – and he’s had a real impact. “It’s been great for me starting as the new Head Coach to have someone like Stuart Broad around. “He works very hard and he’s savvy. He sets an example of preparing in a way which gives you the best chance to be the best performer you can be. “On the field, he’s got a great cricket brain too. He’s had a big impact on the start we’ve had so credit to him. “We’ve got him for another big five weeks, when we’ve got some big championship cricket, and we’ve got the quarter final coming up. Nottinghamshire squad to face Gloucestershire (from): Brendan Taylor, Jake Libby, Cheteshwar Pujara, Steven Mullaney, Chris Read, Stuart Broad, Riki Wessels, Harry Gurney, Luke Wood, Luke Fletcher, Samit Patel, Brett Hutton and Michael Lumb.